A Japanese sage once said, “It is rare to be born human.” The Dalai Lama said, “To be born is a miracle.” These words resonate with me, and I am so glad I was born in this lifetime. My deepest gratitude to my parents. American born and raised in the Philippines, I am the youngest of two children. At a young age, with only a 6th grade education, my father joined the U.S. Navy. He was forced to leave his family to support his single mother and six siblings. His father, my grandfather died when he was 6 years old. Being the oldest son, he became the bread winner. He served in the latter part of WWII and in the Korean War. My mother, who completed 2nd year nursing, left school and supported my father’s career. While my father served, my mother stayed in the Philippines to take good care of my grandparents. After retirement, my father went back to the Philippines to be with my mom. Following in my father’s footsteps, my older brother joined and retired from the Army. Growing from a poor family, my parents made sure that we all had the education that we needed. I am very thankful to them and my older brother. They all supported my love of learning. I have so many letters after my name. In the Philippines, I received my Bachelor of Science in biology. After this endeavor, I entered medical school. In 1983, I became a Philippine board-certified physician (General Practice). In my mid-twenties, the American Consul in the Philippines advised my parents to let my brother and I establish our residency in the United States, or else we would lose our American citizenship. So, in 1984, I left the Philippines and traveled to Hawaii. Carrying all of my credentials but no American medical license, I could not practice medicine. Having no U.S. work experience, I took jobs that I was over-qualified for. As frustrating as it was, I needed to survive, so I pursued another academic endeavor. I completed my master's degree in Public Health with a subspecialty in Environmental and Occupational Health from the University of Hawaii-Manoa in 1991. 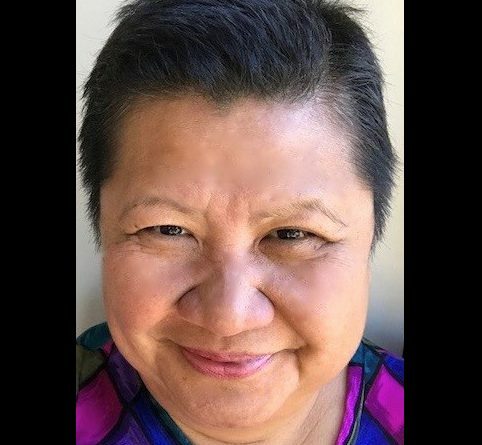 Through the years, I have been involved in health promotion, cultural sensitivity development, intercultural communication, patient advocacy, and clinical research, mainly in behavioral research. I am currently a certified Clinical Research Professional. I have worked for the government, non-profit organizations, academia, for-profit organizations, and health care institutions. I was also very involved in my community. 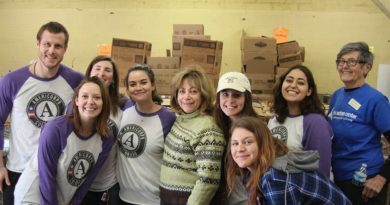 I was a volunteer and joined advisory committees helping refugees integrate into their adoptive city. In 2006, I found the perfect job for me. I left my 9-5, high paying job and became a family-caregiver for both of my parents. My father had medical issues in addition to hearing loss and muscular degeneration. My mother had dementia which may have been brought about by her diabetes or Alzheimer's, and other health issues. Caregiving is a 24/7, 365 days a year job. It is physically, mentally, emotionally and financially draining. I’ve heard that it takes one village to raise a child. This was also true for my parents. It took one whole village to keep my mother healthy and another whole village for my father. Technically, I had two 24/7 jobs. While taking care of my parents, I kept three goals in mind: to allow them to maintain their dignity and autonomy, to give them the highest quality of life, and to stay at home with me until I die or until they go. Unfortunately, in January 2016, at the age of 88, my mom passed and in August 2016, my father followed his loved one. He was 94 years old. I traveled a difficult journey, but I accomplished those three goals. On behalf of the CCAHEC Team, we welcome Lynn and look forward to the positive impact she will make in our region. 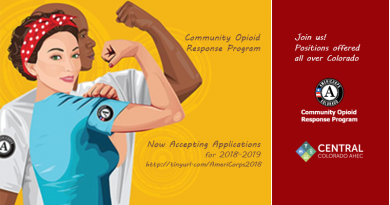 2018-2019 AmeriCorps Member Applications Now Available!